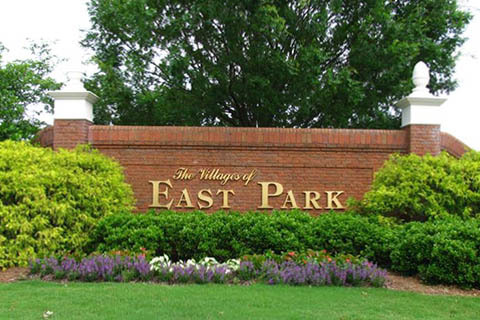 The Villages of East Park is a covenant protected, well maintained master planned community of 362 homes in the eastern portion of the City of Marietta, Cobb County, Georgia. Five separate villages have been developed with the quaint old-fashioned charm of Colonial Virginia. The community of East Park also revives traditional town planning concepts by including protected native green spaces and sidewalks throughout. It's a casual, friendly place where brisk morning walks or relaxed evening strolls along beautifully landscaped East Park Boulevard find neighbors greeting one another, stopping to sit and visit by the meadow, or watching the water ripple along one of the many small creeks. There's something for the whole family to enjoy in East Park including a large resort style pool, clubhouse, tennis center and playground. A very active homeowner’s association plans social events throughout the year for all ages. East Park is a great place to call home!